We are offerings $10 off for the first 15 Chapter members who register for the NAHJ Region 3 Conference at American University on Saturday, October 13. The Chapter Board approved funding the discount. Please email nahjdc@gmail.com to register. Regular price is $40 for NAHJ members and $50 for non-members. 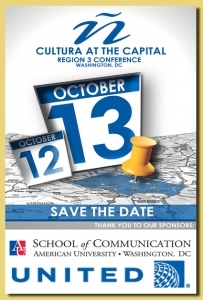 Discounted price will be $30 for NAHJ DC members.